WETRON automatizacná s.r.o. was created in 2004 in an effort to serve the local market and to provide services to WETRON Group subsidiaries and to a wide variety of clients. At WETRON Slovakia, we specialize in the area of industrial installations, both electrical and mechanical, and in the manufacture of electrical components and enclosures. Every year, from our new facilities in Bratislava, we provide services on a large number of projects nationally and abroad. We have a great team of professionals who are used to working in the most difficult installation conditions and who offer their knowledge and experience on every job and to every client in the field of conveyors and robotic lines. In our shops we assemble 100% of the enclosures for our projects. This lets us reduce delivery times and ensure quality. • Enclosures for integrating PCs. • Production displays, synoptic displays. 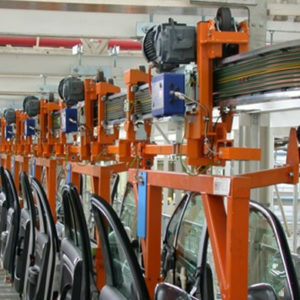 We have mechanical personnel with extensive experience installing the mechanical equipment necessary in our clients’ factories. – Installation of structures and conveyor systems. 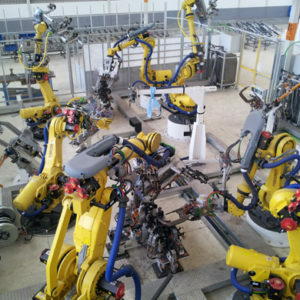 – Installation of robots and tools for welding, handling materials and painting. – Installation of ventilation lines and ducts. • Control electronics to automate monorails (MFA, MEFAS, TB4, VCO/FBS). In our electronics laboratory, we implement new solutions and provide after-sales service for WETRON components. Warehouse stacker cranes and mini-loads. Floor roller and belt conveyors for pallets and boxes. Overhead and floor monorails for transporting pallets. 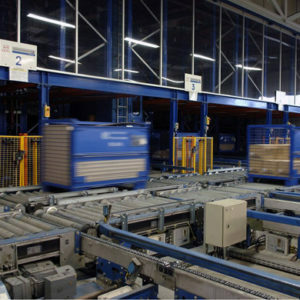 Logistics chains automated via AGVs. Spot welding, arc welding, laser welding, clinching and other lines. Robots to apply adhesives, resins, sealants, etc. 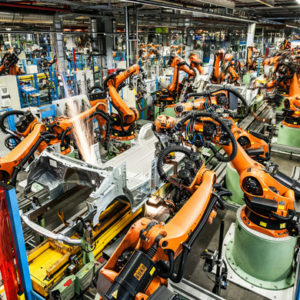 Robotic cells to combine subassemblies, install glass, etc. 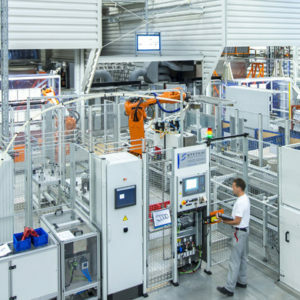 Robots to handle materials and palletization of parts or boxes. Pre-treatment lines: washing, phosphating (TTS), electrophoretic deposition (EPD), etc. Lines to apply primer, paint, lacquer, etc. Drying ovens and heat treatment of parts. Installations for the application of sealing waxes. Low-voltage distribution systems, energy monitoring. Communications and fiber optic networks. Efficient lighting systems controlled via Dali/KNX. Systems for controlling water treatment systems, osmosis, pumping, etc. Energy savings by installing frequency converters in HVAC and pumping systems; regenerative drives for lifting systems. Integration of automatic fastening systems, Bosch-Rexroth, Atlas-Copco, Cleco, Desoutter, etc. Management of systems to trace tightening results for QC purposes. Barcode or RFID systems to identify and trace parts and control production. Retrofitting of automation and control installations. PLC migration. Control application to assure quality, position, measurement, identification using artificial vision systems. Monitoring: production control rooms, screens and video walls to display production and maintenance data. The electrical hardware planner is responsible for planning, coordinating, preparing and supervising electrical projects involving the installation of automated conveyor systems (monorails, skids, roller tables, P&F, etc.) 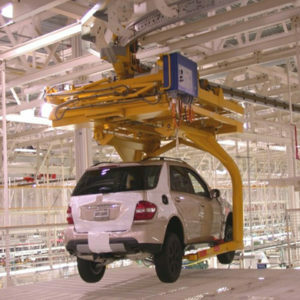 and robotic lines, primarily for the automotive industry, all in strict compliance with the technical documentation provided by the client and in compliance with all applicable regulations. • Experience in the automotive industry and knowledge of its standards (VW Group & NISSAN). • Experience and ability to plan projects to install automated systems based on client specifications. • Ability to coordinate and supervise the assigned work team. • Technical ability to size the equipment (cables, protective elements) and to select and quantify the required enclosures and other work components. • Comprehensive knowledge of design tools (EPLAN P8 and AUTOCAD 2010). • Results and objectives oriented (your own and those of the team assigned), hours and deadlines. • Languages: medium/high level of English, German desirable. • Education: Degree in Industrial or Electronics Engineering, Automation, or similar. In conjunction with the Planner, the Electrical Designer makes a detailed drawing of the electrical systems for the automated assembly line projects (primarily for the automotive industry, materials handling, logistics and robotic cells) that conform to the client’s technical specifications and to regulations. 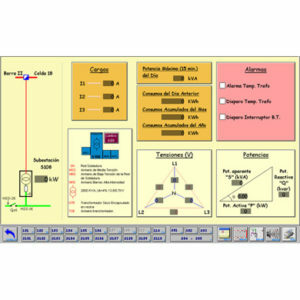 • Specific training in software for designing electrical systems (EPLAN and AUTOCAD). The Site Manager (SM) coordinates, supervises and carries out the wiring, installation and connection of electrical enclosures and starts up the installation at the client’s site. The SM is responsible for supervising the work of installation operators and/or of subcontractors. The SM also oversees safety aspects and enforces related regulations during the work. The SM is responsible for the quality of the work and cooperates closely with the client to finish the work on time. • Solid knowledge of electronics. Must know applicable regulations to be able to manage work at the site. • Knowledge of electrical standards in the automotive industry.